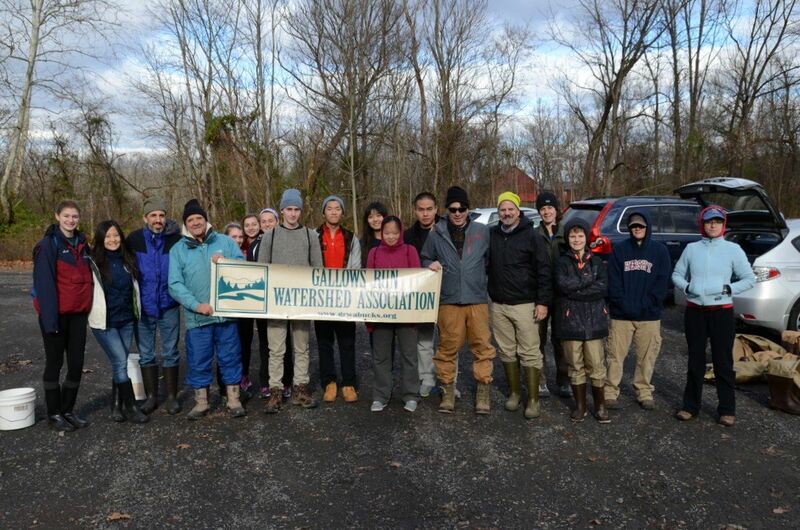 Come join the Gallows Run Watershed Association and Delaware Canal State Park staff on a fall trash cleanup of Gallows Run and Lynn Island! Learn about the unique aspects of this state park natural area while helping preserve its natural habitat. We will be working on two projects during this cleanup. We will start with a stream cleanup along lower Gallows Run and the roadside along Rt 32, and then canoe across the Delaware River to clean up trash and debris deposited on the northern tip of Lynn Island during high water events. All volunteers for the island cleanup must be physically fit and at least 12 years of age. Space is limited due to the number of boat seats available. We will meet at 1 PM in the parking lot near the former American Grill Restaurant, Routes 611 & 32, Kintnersville. Volunteers will need sturdy rubber work shoes or waders to collect trash along the river, and long-sleeved shirts and pants are recommended. A bucket for trash is also helpful. We will provide a limited number of hip waders, buckets and trash grabbers. Sorry, this program is not appropriate for young children.